Congratulations to Chorus finalist Mario for winning the Multicultural Volunteer Award at the Volunteer WA Awards 2018. Held on 24 May in Perth, it was a great night to celebrate Chorus volunteers and the fantastic work all volunteers do across the state! 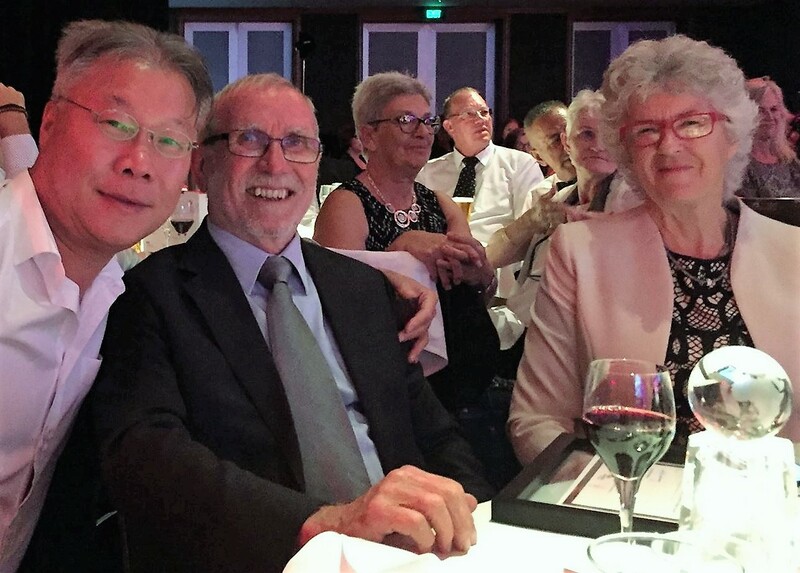 Photo: Andy from Bull Creek – Multicultural Activity Centre Team Leader (right) Mario and his wife Margaret at the Awards Dinner.